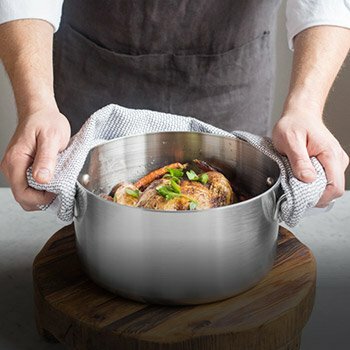 quick and easy to clean premium cookware. 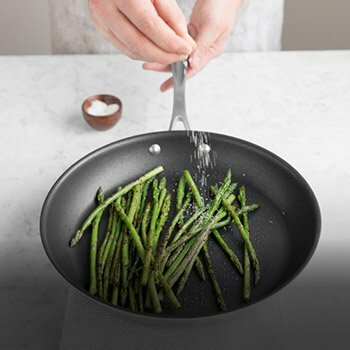 Check out our nonstick collection! 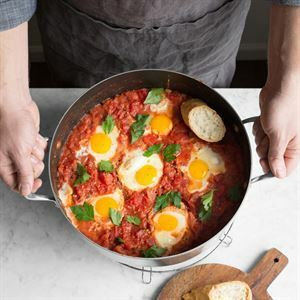 Check out our recipe blog and discover your next culinary obsession! 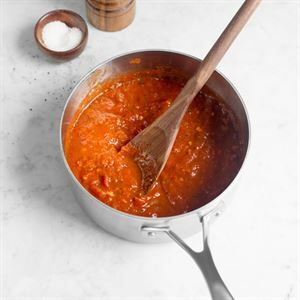 Our 1-quart saucepan is a true kitchen workhorse that’s perfect for whipping up sauces, heating side dishes, and so much more! Affordable, quality cookware you can rely on to out-perform and out-last the competition. Because it matters. At American Kitchen Cookware, we understand that your cookware choice represents a commitment. You need reliable performance and unparalleled durability, to support the day-to-day demands of your kitchen. You want versatility, for pots and pans that work with your oven, stove top, induction cooktop, glass cooktop and more. You crave ease of cleaning and care, so you have more time to relax and enjoy the meal. And you prize quality, local craftsmanship that pairs perfectly with your joy of cooking, entertaining, and experimenting with recipes. 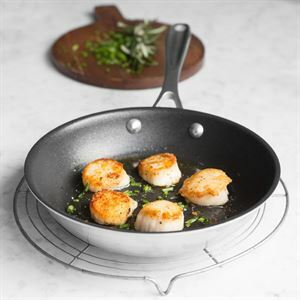 American Kitchen Cookware delivers on these commitments, employing the best cookware materials, superior craftsmanship, and over a century of manufacturing experience with our parent company, Regal Ware. 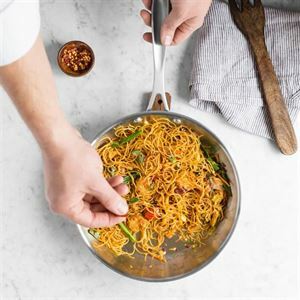 As a privately-held, family owned company, American Kitchen takes pride in bringing you professional quality tri-ply stainless steel cookware , light and responsive cast aluminum cookware , and easy, stress-free nonstick cookware and nonstick bakeware . Shop our expanding collection of products, cookware sets, and more. With Free Shipping and Free Returns , we make it easy for you to discover the last, best cookware you’ll ever own. We’re proud to be a part of the American-Made movement and the resurgence of companies committed to US-based manufacturing. As a trusted manufacturer of exceptional quality cookware for more than 100 years, our parent company, Regal Ware, has been pioneering this movement from the day it was founded. Made in the USA isn’t just a slogan to us, it’s in our DNA. Our cookware is hand crafted in small batches in our factory in West Bend, Wisconsin. We use the highest grade of stainless steel and aluminum available, and each piece we create is precisely engineered for outstanding performance and durability. We’re committed to the top standards of manufacturing quality and have been doing it this way for decades, which is why we confidently offer a Lifetime Warranty on every piece of cookware we sell. our blog has something for everyone. 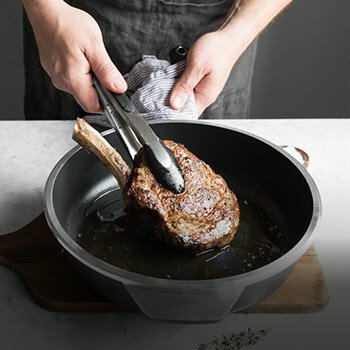 We believe the experience is the best part of cooking and no matter what type of simple side dish or intricate dessert you like to make, you should have the tools that make it enjoyable – whether it’s a special pan, the right recipe for your skill level, or tips and tricks that help advance you to that next level. Visit us on Instagram for more of that experience.